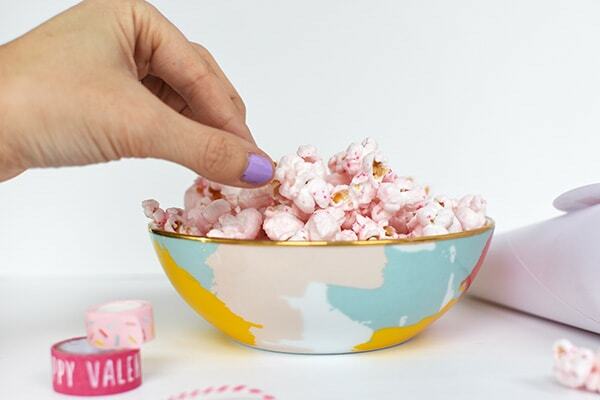 Everyone loves popcorn, I mean – right? Now any guesses as to what could make popcorn even better (other than adding loads of butter)… adding color! Oh yes, that’s right. 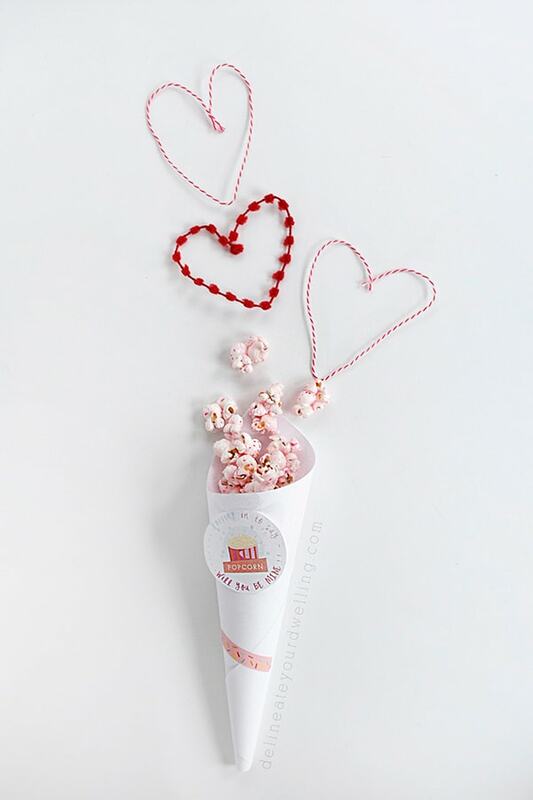 With the day of love just around the corner, today I’m sharing how to create Pink Popcorn + a Printable for Valentine’s Day! 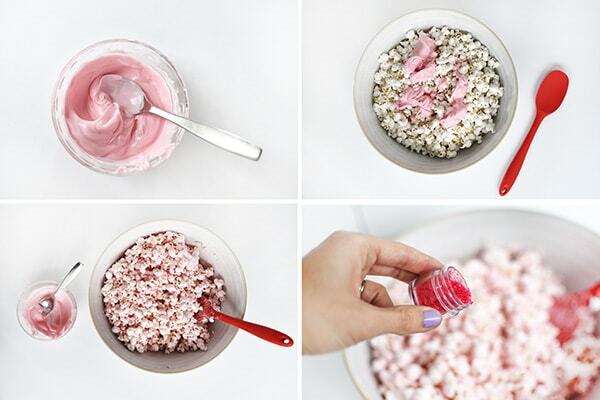 I almost thought making pink popcorn would not work because it just seemed TOO EASY. But, it worked so perfectly! 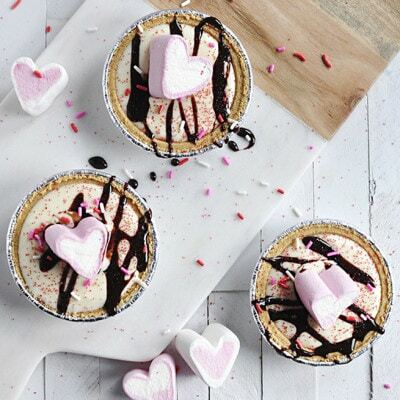 First, in a microwave safe dish, melt the pink chocolate wafers. Mine took maybe a minute and a half with stirring every 30 seconds. Next, pour the melted chocolate over your popcorn. Everything I read said to do this task on a sheet pan and it was my experience that a sheet pan would not be ideal for this. I used a big bowl to mix the chocolate and popcorn. 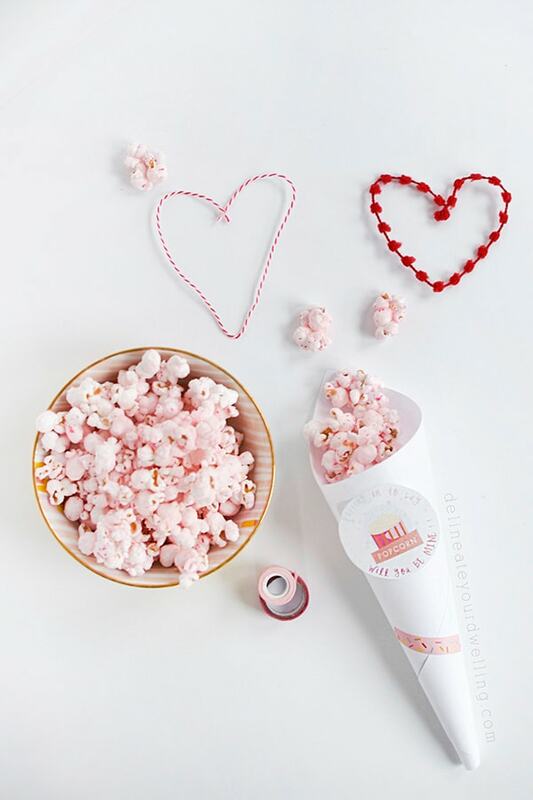 Even still I had pink popcorn flying all over the place! My popcorn was not as pink as I originally wanted it to be, so I simply melted a little more chocolate and added it to the popcorn. The final color was perfect! 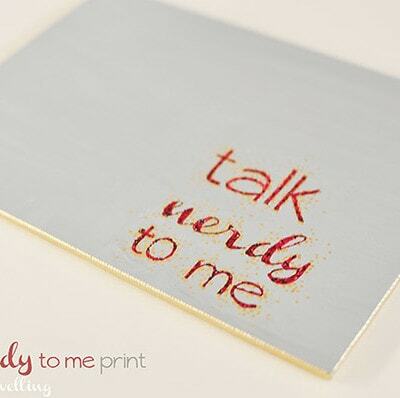 Lastly, for the final finishing touch – add your pink edible glitter! I gave the top of the popcorn a light dusting, then mixed mixed and add some more. 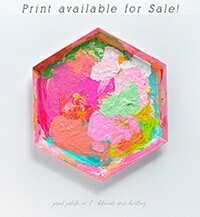 Add to your liking. 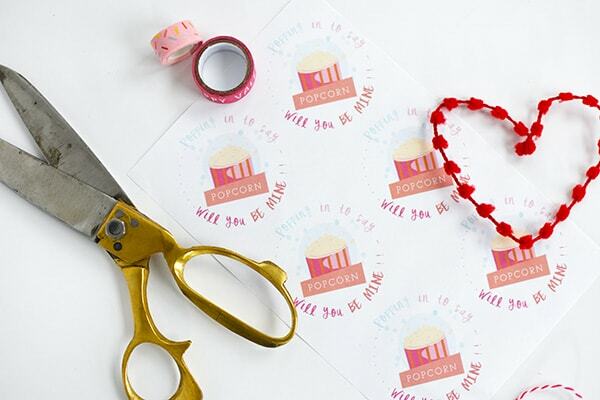 I created these fun graphic tags for you to add to your Valentine’s goodie bags! 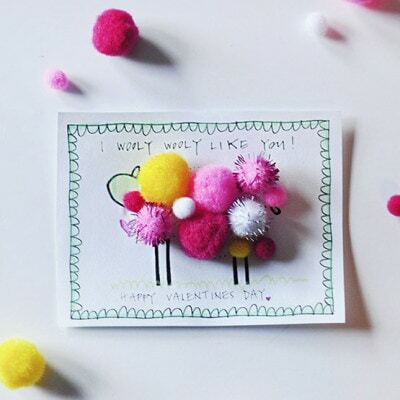 They say, “Popping in to say – Will you BE MINE! 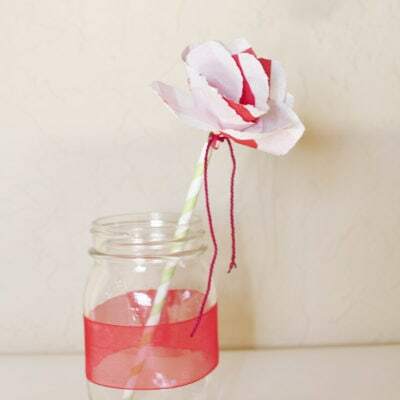 !” There are twelve to a page for ease of printing. 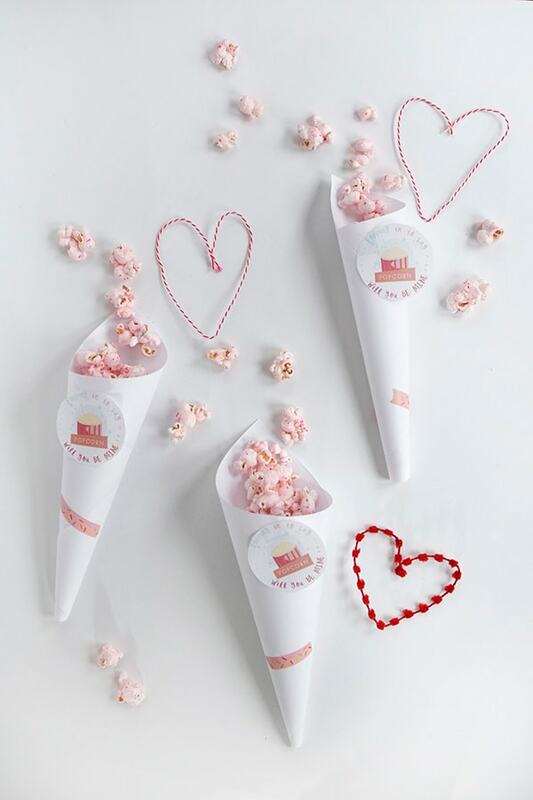 I simply rolled some 8.5 x 11″ paper into cones and secured them with washi tape to hold my popcorn. 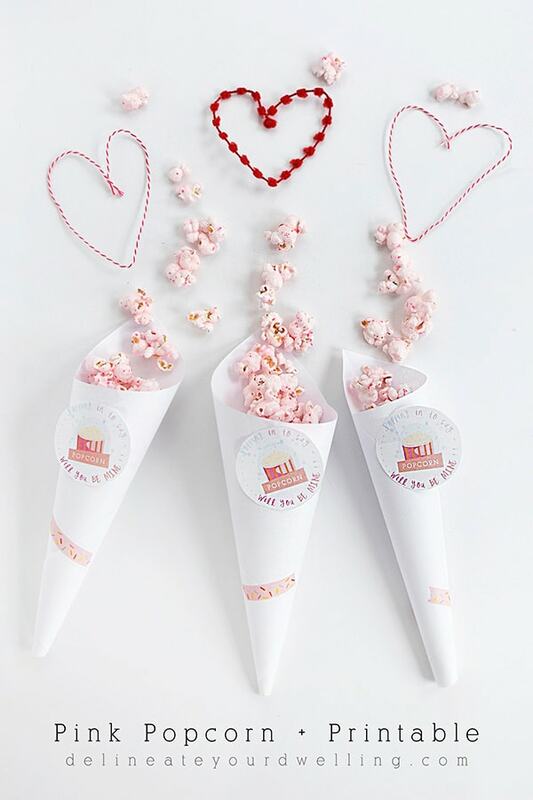 Then, add your Valentine tag to the front and you have an adorable Pink Popcorn Valentine’s Day gift! And I had no idea how delicious chocolate covered popcorn was… this could be bad, as in very very delicious and too tempting for me to make again!!! 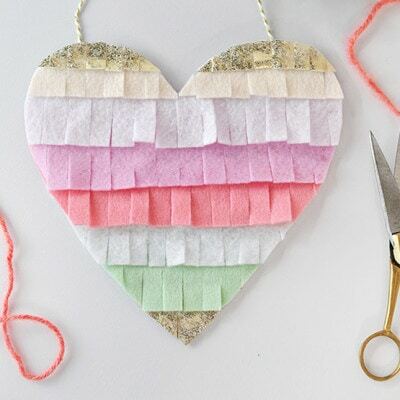 Looking for some other fun Valentine’s Day crafting ideas? 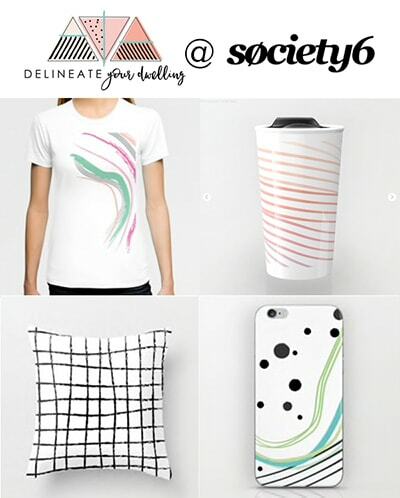 You might like some of these!! What type of popcorn did you use? 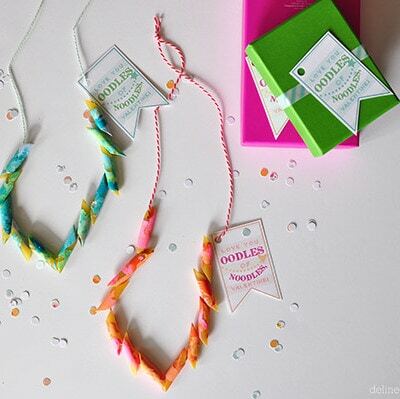 I’m thinking of doing this as a b-day treat for my daughters preschool teachers. I thought maybe like skinny pop original, but then I was thinking may be something a bit saltier to give that sweet and salty flavor with the melts. What do you think? Since it’s for adults, I was thining the more flavor the better. I just bought a huge cheap bag of plain popcorn from the grocery store for this and honestly it tasted amazing! I think whatever kind of popcorn you use would probably be just fine. Have fun! 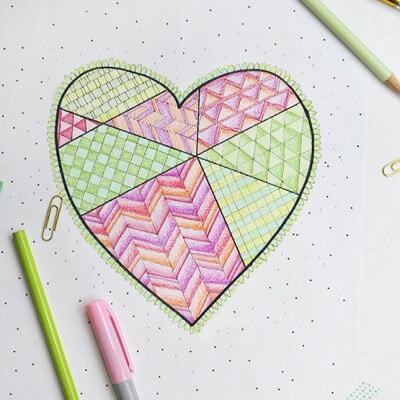 I’m doing a round-up of Valentine’s Printables and was wondering if I could use an image from your post for both the post and a combined marketing (Pinterest, etc) image? Jennie: Thanks so much for asking, you sure may! 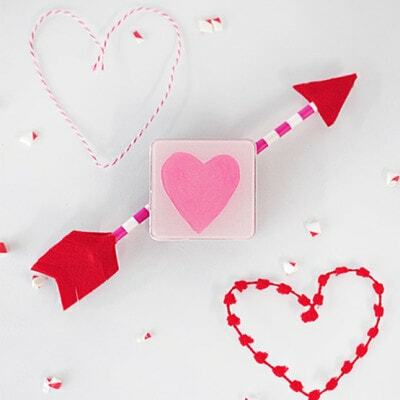 I love this idea for as a Valentine’s Day treat for my Middle School students! 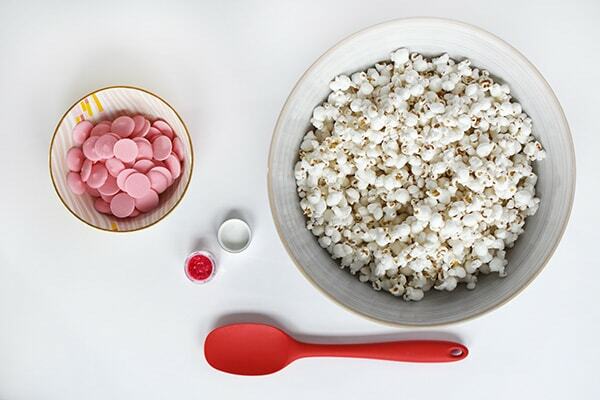 But, how much popcorn per bag of pink melts? Thanks! Debbie, great question! I bought a large bag of pre-popped popcorn and only one bag of chocolate melts. It was a perfect ratio. I used only half the bag of chocolates and then decided it wasn’t pink enough… so I used almost the remainder of the chocolate. So, I would say it was a 1:1 ratio! Thanks girlie! I was so surprised how easy (and tasty) it was to make! 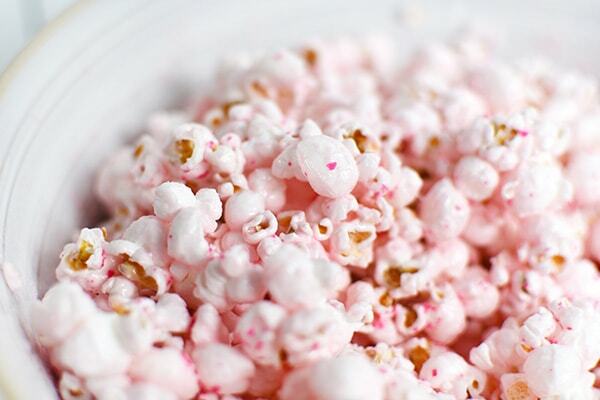 Plus – PINK popcorn! !